sheep | Yardsaling to Adventure! 2) It’s used, which means that somebody already has. 3) You definitely want one anyway. Mmmmmmm. Can you smell that? Other people’s garbage. Unwanted wares, plopped unceremoniously into a yard or garage in hopes that someone with too much money to waste (although frugal enough not to buy things brand-new) will want to part with a quarter or a dollar for the honor of bringing home your rusty old fishing poles, or perhaps your fifth-grade art project. The 2012 yardsale season starts not with a bang, but with a “Hey, is that a yardsale?” The weather report was calling for rain, so I’d assumed sales would be light-to-nonexistent this Saturday morn’, but lo: on the way to the supermarket, we found it. The season’s first sale. 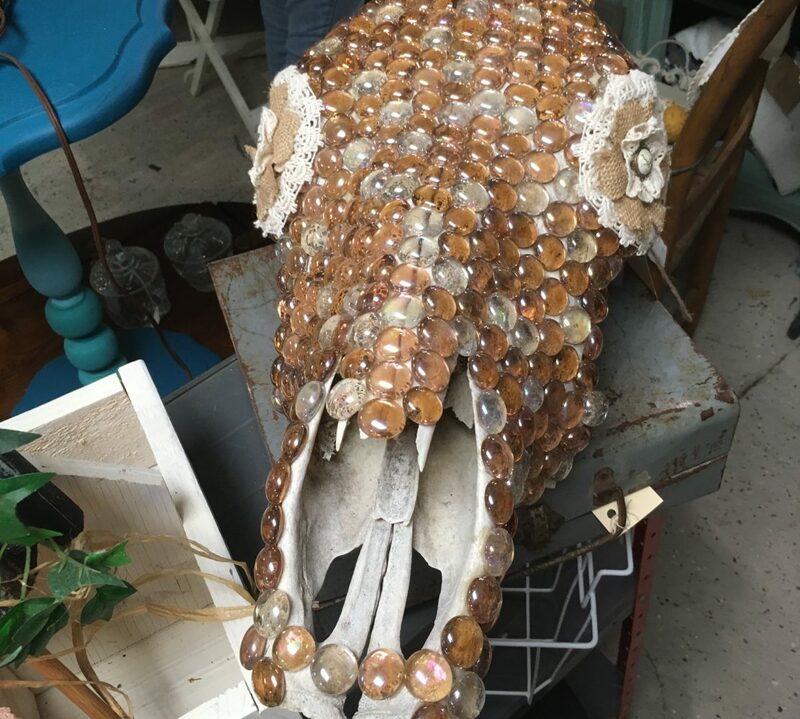 An estate sale, in a house that, from the outside looked nice, although from the inside, it appeared as though one errant stomp might send the whole thing crashing down. YES YES YES YES YES YES YESSSSSSSSSSS! 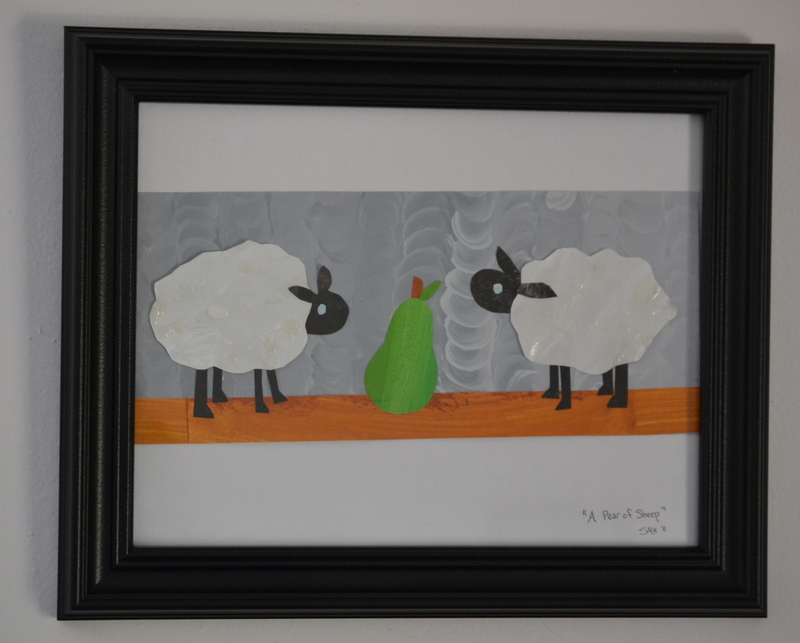 Forget that stupid statue; I now have, nailed to my hot little wall, an original “pear of sheep” art masterpiece, courtesy of my friend Shannon, wife of my friend Nathaniel, fellow GameCola writer and co-proprieter of the geek blog Exfanding Your Horizons. I was speechless when I opened the box; I took such a sharp intake of breath that I thought it might stab right through my esophagus, killing me before I got to raise my fun meter by just spam-admiring it all day. This is just beautiful. I’m not sure I’ll be able to tear myself away from it long enough to go to any actual yardsales this season; I don’t want to leave it alone.